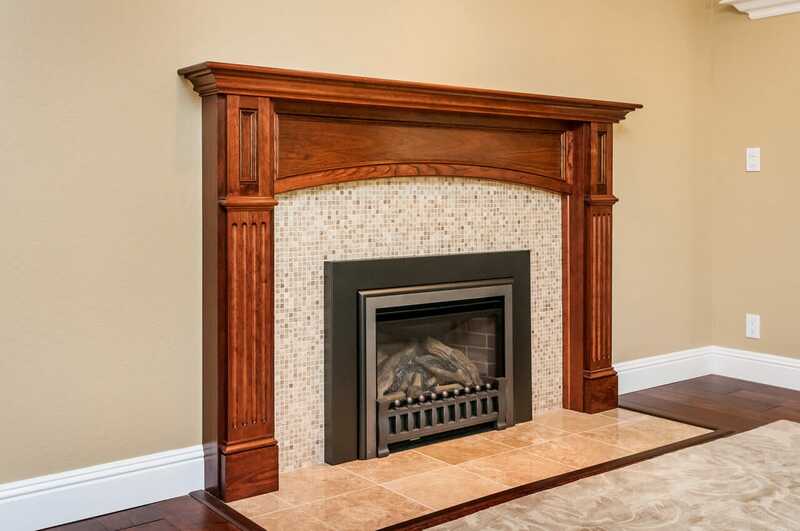 Is your fireplace tired and dated? If so, then a fireplace makeover may be in your future. Sometimes the fix is very simple— several coats of white paint on old bricks or a worn oak mantel is often enough to give the fireplace a fresh new look. But sometimes a more dramatic change is desired. If that’s the case for you, your only limitations are your imagination, and of course, your budget, as there are myriad choices of materials available, from traditional to modern. 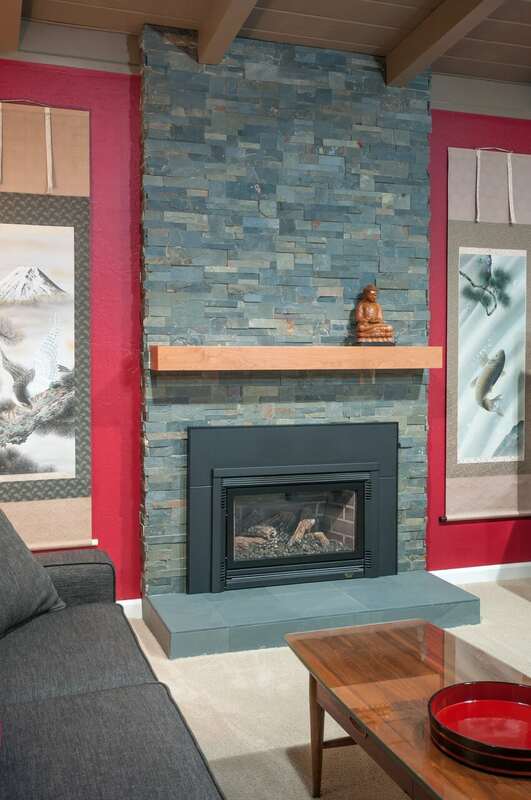 Your first decision is whether to keep your wood-burning fireplace or have a gas insert installed. 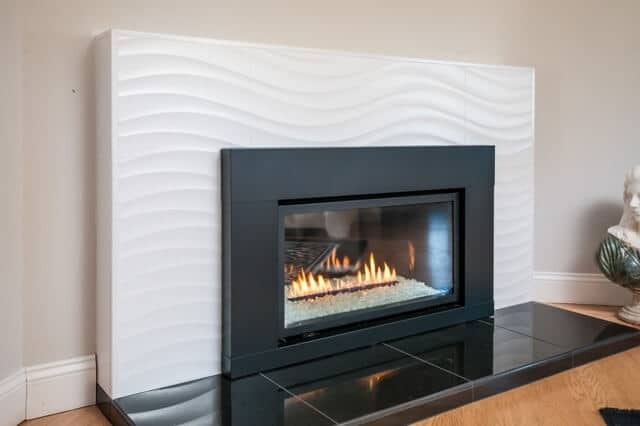 To keep our air clean, California has instituted many restrictions on the use of wood-burning fireplaces, so converting to gas may be the right decision for you. Depending on their size, gas inserts can provide heat for 1000-3000 square feet, while also emitting very little pollution and smoke into the air. They are also very convenient to use. Just flip a switch, or press a button on the remote control and you’ll have a lovely fire in seconds. 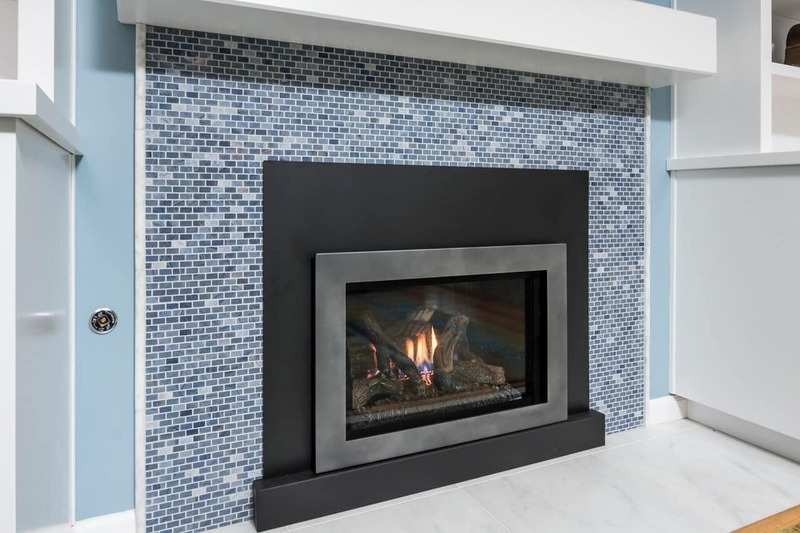 If you have not been shopping for tile or stone recently, you’ll be amazed at how many choices you have for your fireplace. If you prefer natural materials, among your many choices are marble, granite, slate, limestone, and stacked stone, all of which are available in a wide variety of sizes and shapes. 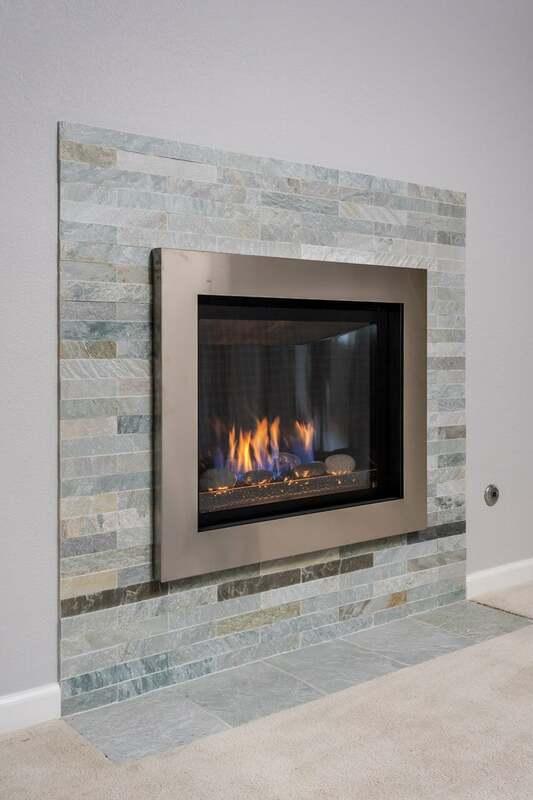 There is also a large selection of unique materials available: metal tiles in stainless steel and copper, glass tiles, and porcelain and ceramic tiles in every color, style and shape imaginable. 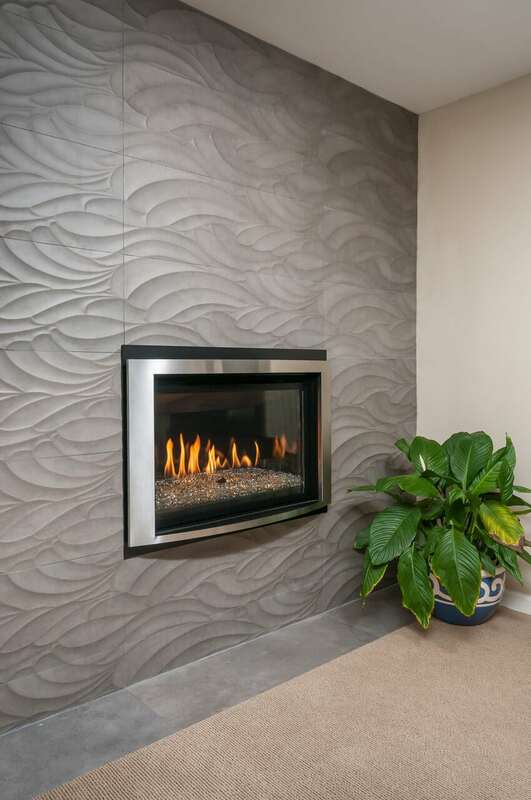 For contemporary styling, consider large porcelain tiles with some wavy textures, or narrow stacked stone. 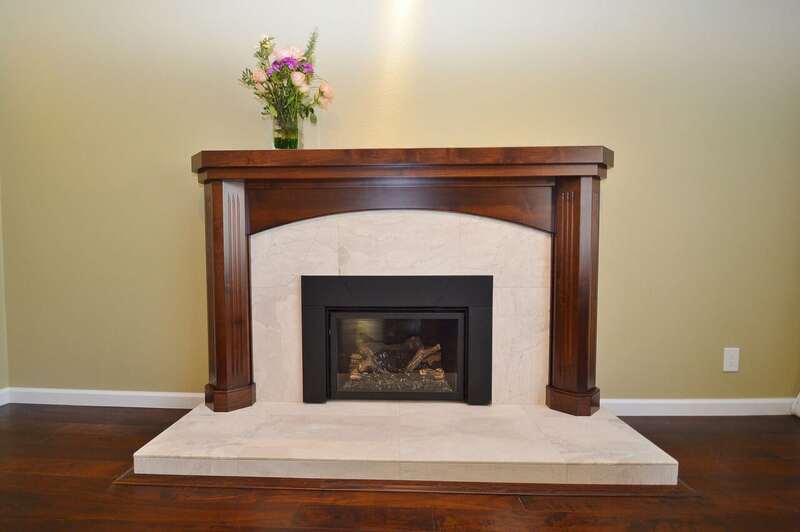 With this style, less is definitely more, so forgo the heavy wood mantel and keep your lines very clean and simple. For traditional styling, look at natural stone such as marble, which is a very classic and timeless material, and add a beautiful, ornate wood surround in white painted, or dark stained wood. Curved lines and carved details are common features in traditional decor. 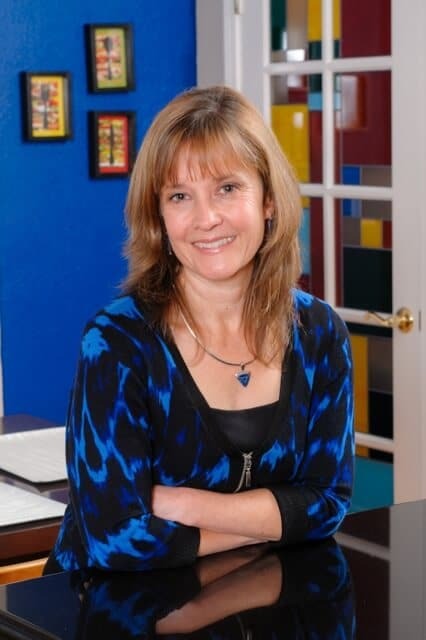 Most of us prefer “transitional” styling, which is a blend of both traditional and contemporary. Clean lines, combined with traditional colors and materials allow for a look that pleases just about everyone. “Floating” mantel ledges are a great choice for transitional rooms the lean toward contemporary, while full wood surrounds with simple lines works best in transitional rooms that lean toward traditional. The possibilities are endless, so consider your overall decorating style, look at lots of photos for inspiration, and treat your fireplace to a whole new look.